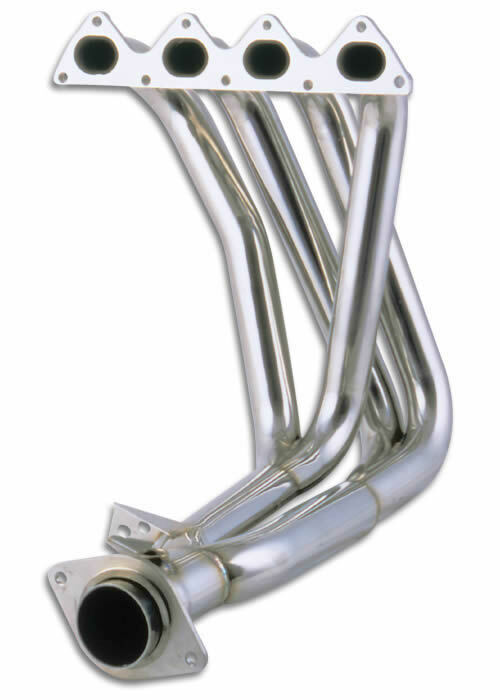 - This lightweight race header has been designed to produce superior low and mid-range power while still producing excellent power through VTEC. The extra long 4-into-2 transition ensures top end power is not sacrificed. - Features 45mm (1.75") diameter CNC mandrel bent primaries that merge into a 2" diameter Y-pipe and finally exiting into a huge 2.5" collector outlet. - This header will not bolt up to stock Honda/Acura catalytic converter. We recommend using our J-SPEC Header Outlet Flange kit (Part #2599) to make it easier to connect this header to a catalytic converter. - Provides excellent ground clearance. This header can be installed on all 1994-2001 Acura Integra models (LS, RS, GS, GSR, Type-R) but will require modifications to the factory catalytic converter to fit properly. Want this item shipped out tomorrow, April 24? Order within the next 23 hrs 18 mins.